Note! The intention of this post is to keep businesses updated on the rollout of WhatsApp Business. We will update it regularly for the benefit of our clients and other interested parties. At the last count (July 2017) WhatsApp had in excess of 1.3 billion monthly active users (MAUs), which is an enormous number. Unlike many other MAU stats, the word “Active” is almost an understatement because around 77% of users are Daily Active Users. This makes WhatsApp the key messaging platform in many countries in the world (except the U.S. where Messenger is markedly more dominant and the likes of China, Russia, South Korea and Japan where local apps dominate). With that sort of traction it should be no surprise that both existing and prospective clients regularly ask us when we will start providing WhatsApp for business functionality. In fact, we’ve been asked so many times we decided to create this post to aggregate all the latest news so we can point inquiries in this direction. It is worth mentioning that there is no information related to API yet. WhatsApp Business account owners can update their profile info including a picture, business hours, website address, description of the business and office/store address. You can interact with your customers via WhatsApp using WhatsApp Business on your desktop. The account is owned by an authentic brand (green checkmark badge). Account’s phone number matches business’s phone number (grey checkmark badge). The account has neither been confirmed nor verified (grey question mark badge). Businesses that were already using a normal WhatsApp account before creating their WhatsApp Business account, can migrate their messages and chat history. Read the instructions here. Note! If you want to register the same phone number to your WhatsApp Business account, remember to delete the WhatsApp app. Businesses can create customised away messages which are sent when your employees are busy and unavailable to respond to new messages. In the case of WhatsApp groups, the away message is sent when someone mentions you. An automated greeting can also be sent to new customers. There is also the option of creating your own labels. "Quick Replies" are essentially canned responses or "Saved Replies" in Facebook Messenger lingo (we don't know why two sister platforms feel the need to use different terminology). You can create keyboard shortcuts to pull up standard responses to frequently asked questions. As a business, you are most likely to prefer registering your WhatsApp Business account with a landline number rather than a mobile number. WhatsApp Business enables you to do so and provides you with the option of receiving a call instead of an SMS to verify your number. KLM was one of the first big brands to go live with Facebook Messenger as a customer service channel and they are following suit with WhatsApp. They are good at figuring out what channels their customers use and how they want to engage with KLM services. In a recent blog post they revealed that over 80% of their customer service is taking place either on Messenger or WhatsApp. KLM was the first airline and one of the first companies in the world to get a verified WhatsApp Business account. Some of the services provided via the app are check-in confirmations, boarding passes, booking confirmations and flight status updates. Details of more companies using WhatsApp business will be added here as they are publicised. If your small-to-medium business is in one of the countries mentioned in Table 2 above, you can download the app and get started. The app is currently available for Android only. There is no word about when the iOS version will roll out. 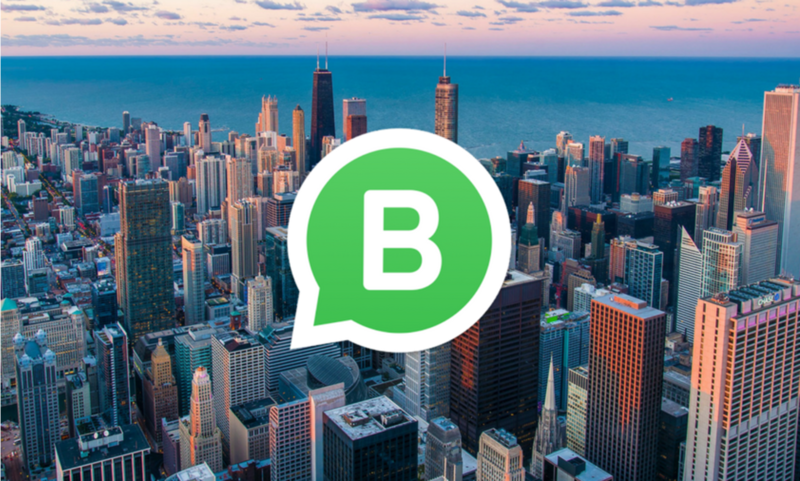 If you are in a country the app is not available at this stage, you can fill out this form to apply to participate in their beta WhatsApp Business programme. It is unclear how likely you are to get a respond, but if nothing else you will be increasing the chances of your country being prioritised for the rollout of WhatsApp Business. If you're representing a large enterprise, you should fill out the form as WhatsApp is still testing their solution for enterprise customers. We have seen how successful Facebook Messenger for business has been. It’s almost certain using WhatsApp Business for customer service will become the norm for both businesses and consumers. This post will be kept up to date with the latest news about WhatsApp Business so be sure to subscribe to our blog to receive notification when we update this post.